Dennis McCarthy was helping out with repairs on 2 Fast 2 Furious when one of the producers started asking him about “drifting.” Little did he know they were in the process of researching for The Fast and the Furious: Tokyo Drift. “The next thing I know, I’m on a plane to Japan,” he says. Since then McCarthy and his team at Vehicle Effects have become the expert hands behind the building of the franchise’s motorized eye candy. Now with the latest installment, The Fate Of The Furious, coming to theaters, fans are excited to see Dom, Hobbs, Letty, Roman, and Tej once again. But let’s be honest, despite the incredible star-studded cast, these movies have always been about the ridiculous rides. McCarthy and director F. Gary Gray gave us a look at what’s under the hood this time around. Tyrese Gibson, who plays Roman Pearce, admits that while he did love his car, he didn’t necessarily love the working conditions. “I am from South Central Los Angeles, so Iceland is like the opposite of where a guy like me wants to be,” he says. During the filming, Gray and McCarthy were told by the Iceland locals that this was the first time that a Lamborghini had ever been in Iceland. “That’s what they told us, so we’re going with that,” McCarthy says. McCarthy estimates over 1,000 cars were bought, built, and rented throughout the filming process. How many were wrecked? Roughly 500. 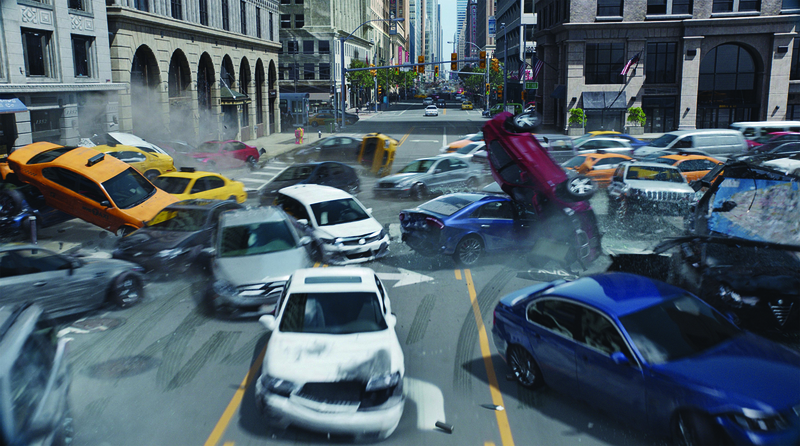 “That was mostly because of the zombie car sequence, where cars were going through windows on a daily basis,” he says. That being said, most of them were built to fall, and weren’t necessarily top-of-the-line vehicles. “There is a certain amount of effort that goes into a car that we know is going to get wrecked,” McCarthy says. “Sometimes there is one that hurts a little bit more, like when I saw one of our 1966 Corvette Stingrays take a terrible beating. It would have been nice if it had made it out of there.” There were a few that survived, though, and McCarthy is in the process of fixing up one of the Stingrays for Gray to take home as a wrap present.